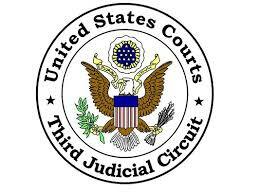 The Judicial Conference will consider the business of the courts and address matters of importance to the administration of justice in the Third Circuit. 28 U.S.C. § 333. Twelve continuing legal education credits will be offered, including ethics (pending approval). Programs of interest to both private sector and public interest attorneys will be featured, including sessions on jurors and social media, the intersection of individual rights and advances in technology, current issues in class actions, and the science on eyewitness identification. These sessions will be led by experts and leaders in the respective fields. Notable guest speakers include Justice Samuel A. Alito, Jr., who will speak at the luncheon on April 20, and the Honorable Michael Chertoff, former Secretary of the U.S. Department of Homeland Security, who will deliver a keynote address at the opening dinner on April 19.